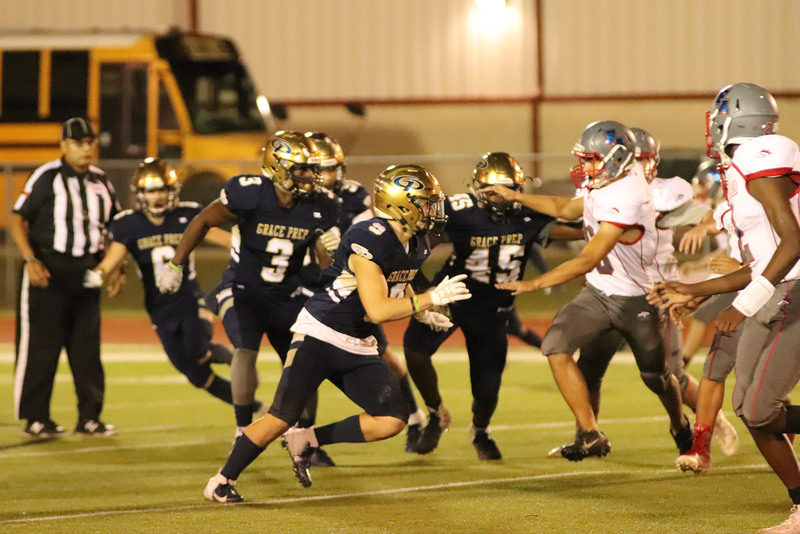 Grace Prep’s fall athletics season wrapped up the Friday after Thanksgiving with the football team’s appearance in the TAPPS Division III Regional Playoff game versus Coram Deo. While the Lions came up short in their bid to advance to the state semifinals, the team made great strides this season under new head coach David Reese. The squad finished the season with an 8-4 overall mark and went 4-0 in district play, bringing home its first district title since 2004. Grace Prep was well-represented in Division III All-District 2 selections. Senior Matthew Tucker was named District 2 MVP, junior Tahj Chambers earned Offensive Player of the Year, and Reese was named Coach of the Year. Lions captured 11 spots on the all-district first team – seniors Quinton Browder, Jose Rodriguez, Kameron Stokes, Matthew Tucker (twice), Nolan Parker, and DJ Oats; juniors Kendon Johnson, Brice Butler, and Tahj Chambers; and sophomore Kyle Lehew. Eight second-team honors were taken by GPA players including seniors Rodriguez, Stokes, and Matthew Chester; juniors Butler, Chambers, and Mason Brewer; sophomore Daryn Carruthers; and freshman Reid Turner. 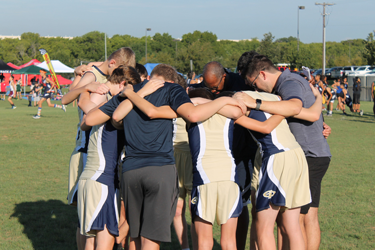 The Lions also garnered seven honorable mention accolades – senior Chester (twice); sophomores Carruthers, Lehew, Jackson Shirer, Samuel Ballesteros, and Ethan Childress. Congratulations to the Lions for keeping the excitement of fall GPA athletics going!